Compact top-loading autoclave design allows for flexible placement, while the large chamber offers capacity of up to 8-12 flasks (1L). These autoclave sterilizers allow maximum flexibility for the sterilization of laboratory equipment and media. Select from 12 preset programs or configure your own based on individual facility needs. State-of-the-art microprocessor delivers precise temperature control (115°C-135°C) with one-touch operation. It also notifies user of each step of the sterilization process via prerecorded voice messages. 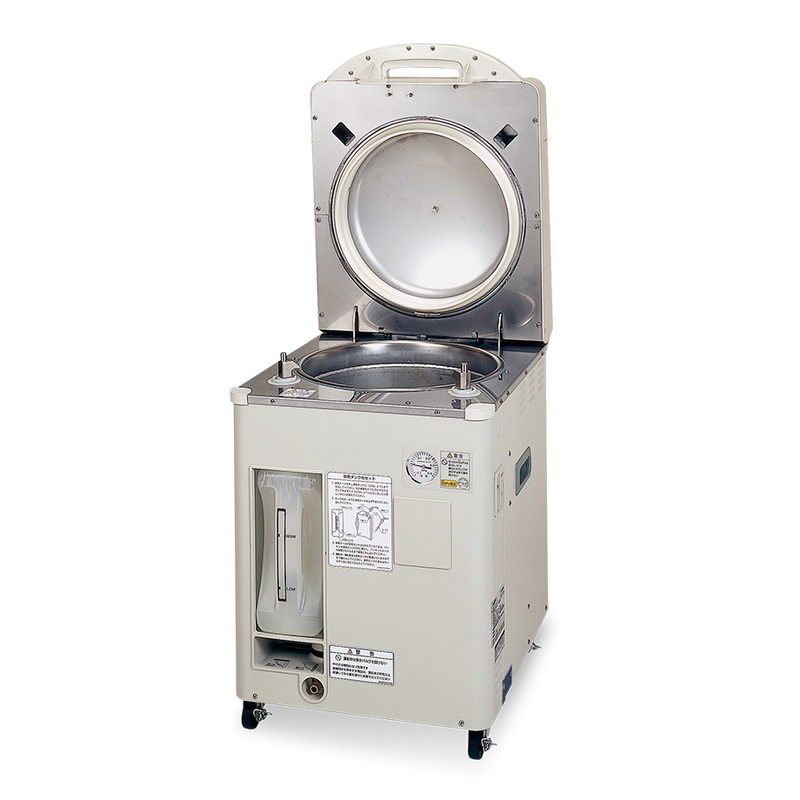 This compact top-loading autoclave maximizes the use of available floor space, while still providing ample capacity for storage within the 14.6" chamber. The large chamber offers greater capacity with a storing example load of 8-12 1,000 ml flasks. This autoclave sterilizer includes voice notification of the system process. Each step of the process is notified via a prerecorded voice message, allowing the end user to hear the process as it is happening. 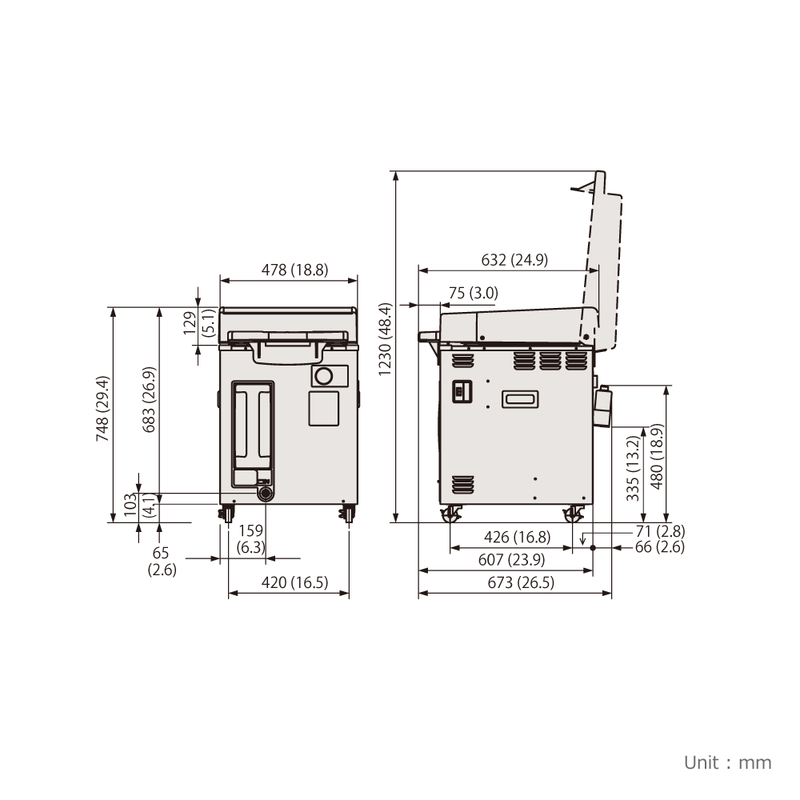 Optional built-in process printer for bath documentation available. The printer prints out the process run results of temperature, pressure, vs. time. Each printout is date and time stamped. To ensure the safe operation of the high temperature, high-pressure steam autoclave, the chamber and the open/close level are controlled by a double interlock system. This system is dependent on temperature and pressure sensors, which ensure safety levels before opening the autoclave. An autoclave sterilizer is essential to good laboratory practice, particularly in biotechnology, pharmaceutical and clinical laboratories. Of all sterilization methods, high pressure steam (autoclave) is the most widely used because of its efficacy, speed and reliability. 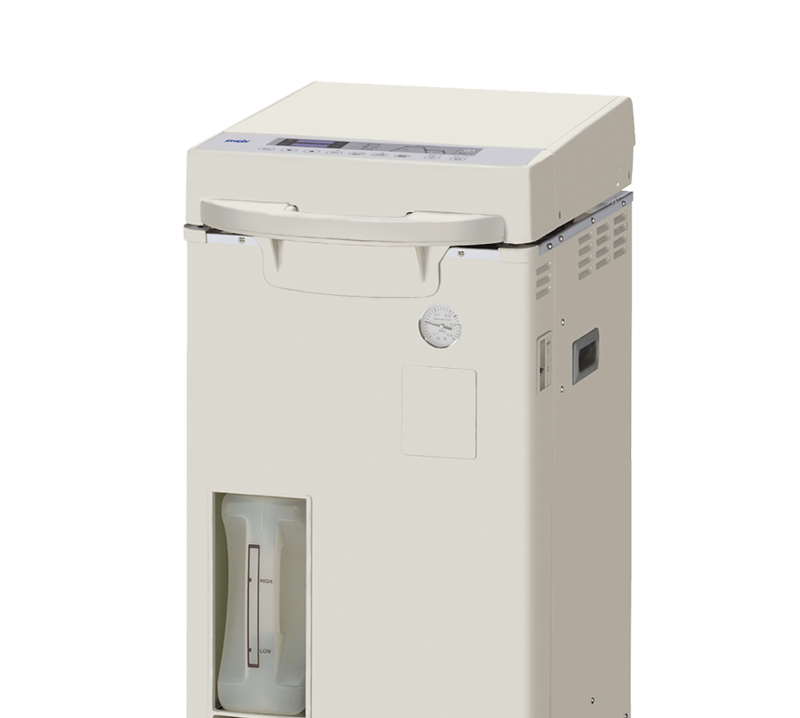 The PHCbi MLS Series portable top-loading autoclave provides a safe, reliable high-pressure steam sterilizing environment within a self-contained unit that is easy to use. These reliable, energy saving autoclaves are ideal for a wide range of applications. The MLS-3751L-PA high pressure steam autoclave provides an ergonomic design - portable and freestanding, completely programmable with process voice notification.